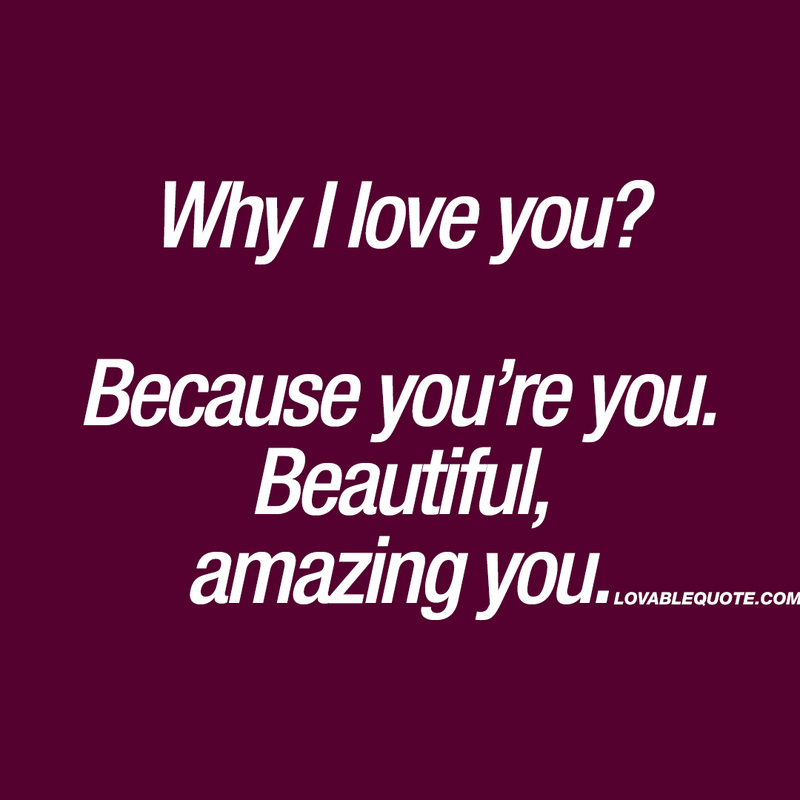 Why I love you? Because you’re you. Beautiful, amazing you. When you love him or her, simply because of who they are. Beautiful and amazing. When you love every single thing about your girlfriend, boyfriend, husband or wife. This is a super nice and romantic quote that’s truly perfect to share with someone! Make your girlfriend or boyfriend smile by sending him or her this quote! I love you completely and without a doubt. Just a reminder: I love you. “I love you” is my favorite thing to say to you. You are everything to me and I love you forever. This “because you’re you” quote is copyright © Lovable Quote 2017.